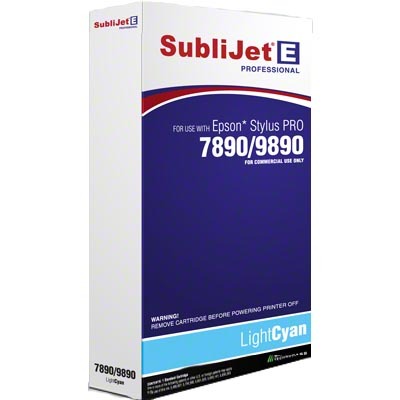 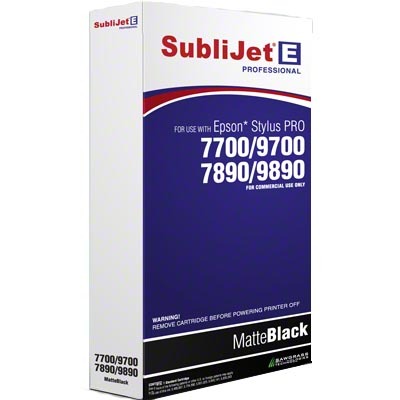 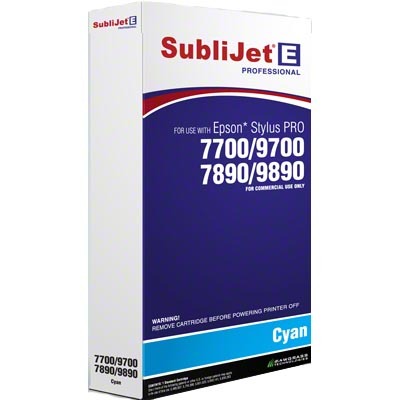 SubliJet-E Professional is a high-performance sublimation printing ink optimized for the Epson Stylus Pro 7890 and 9890 series inkjet printers. SubliJet-E's high capacity cartridges deliver extended un-interrupted printing and low imaging costs. Available in 24" and 44" width, Epson printers with SubliJet-E Professional sublimation ink are the ideal choice for customers requiring high volume or large format image production and for applications such as promotional products, photo gifts, photo panels and all-over t-shirts. 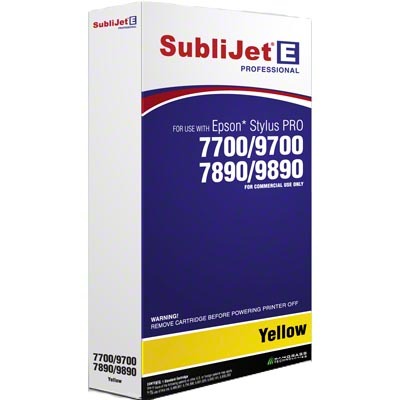 Yellow SubliJet-E™ Cartridge, 350ml, for the Epson 7700/7890/7900 printers. Unsurpassed color vibrancy, color uniformity and contrast. These ink cartridges are eligible for our Recycling Program, where you can get $5 credit for each used cartridge.